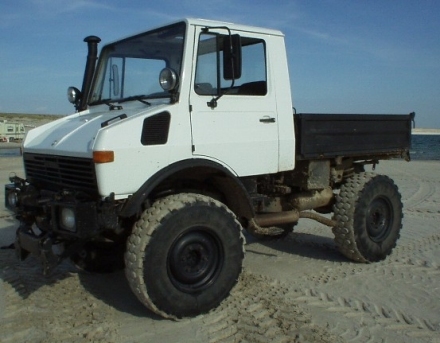 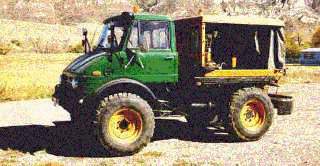 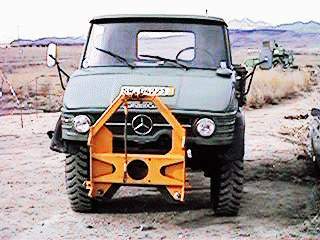 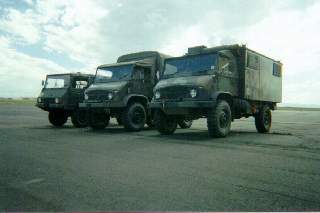 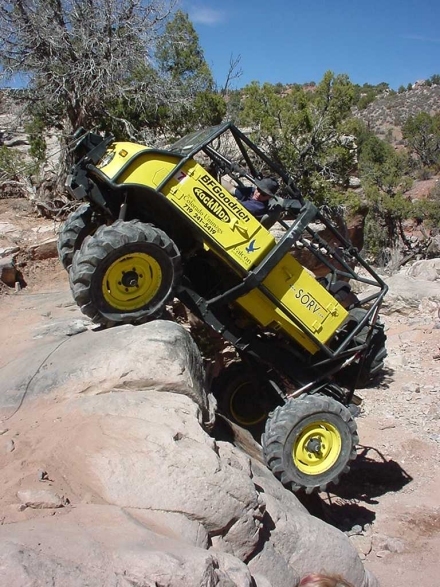 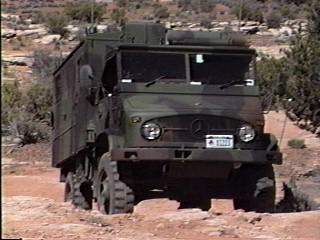 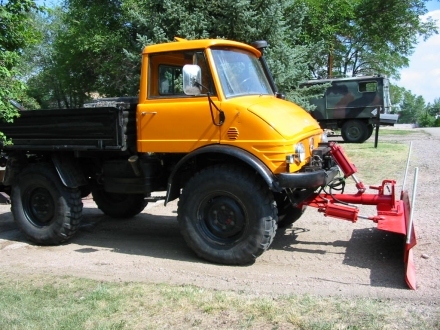 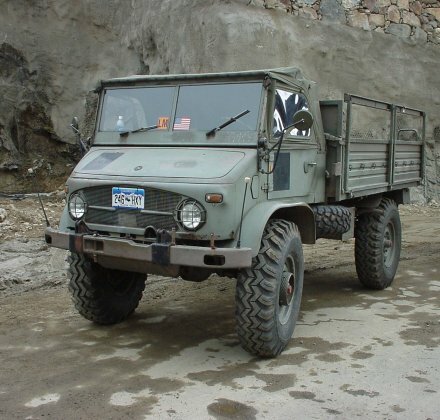 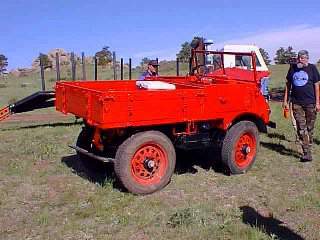 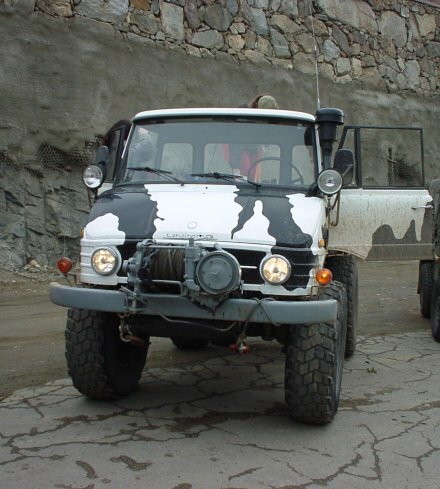 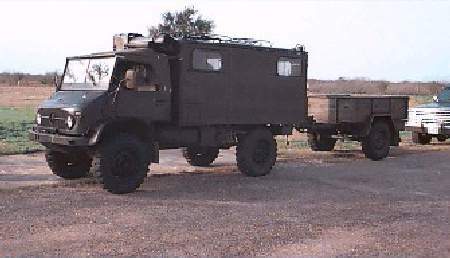 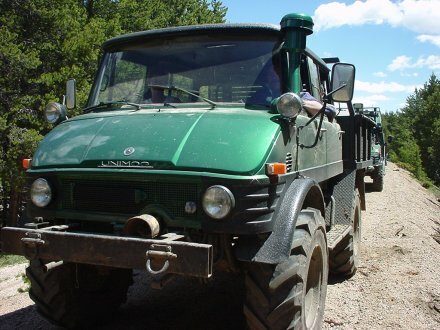 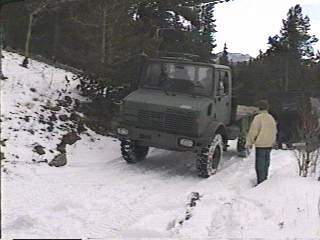 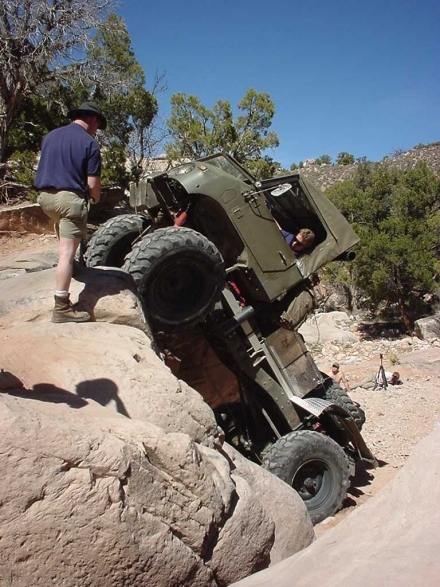 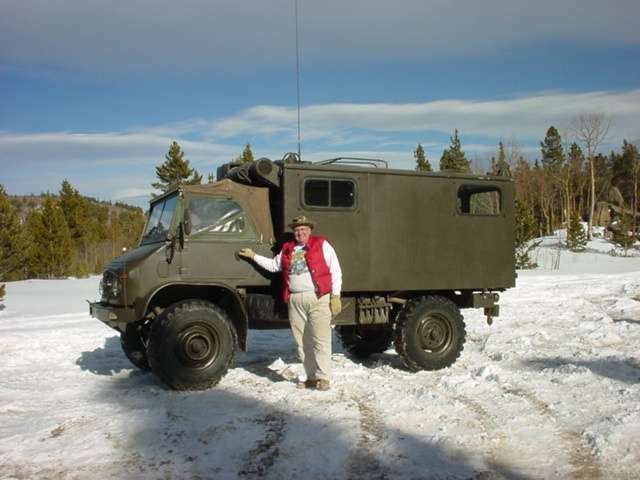 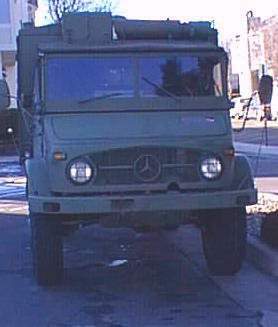 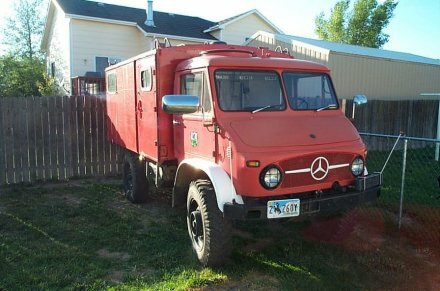 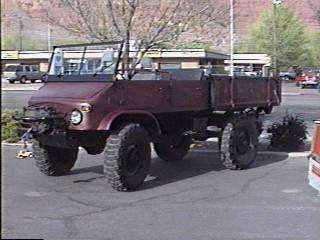 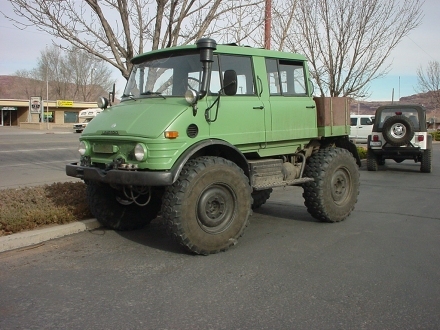 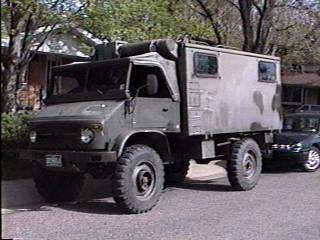 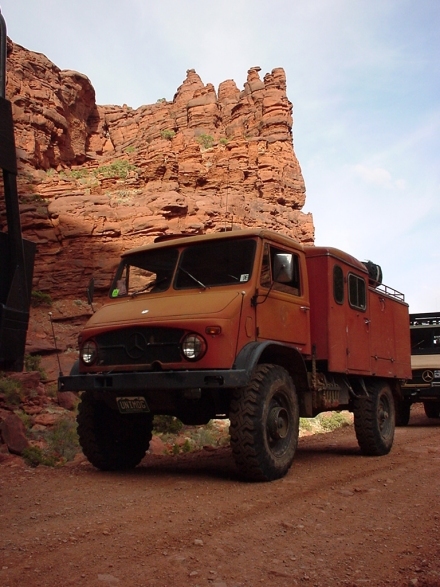 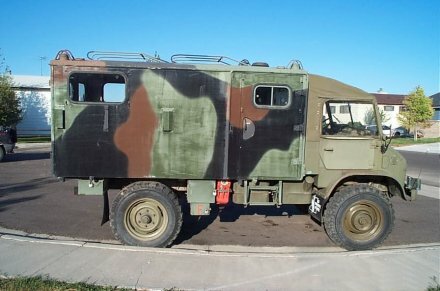 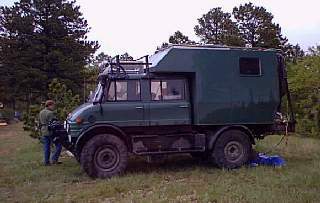 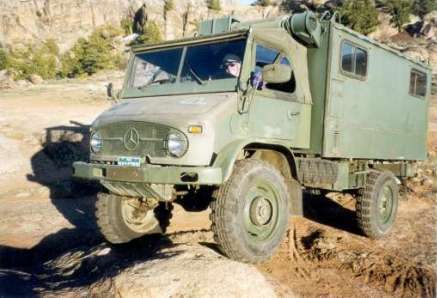 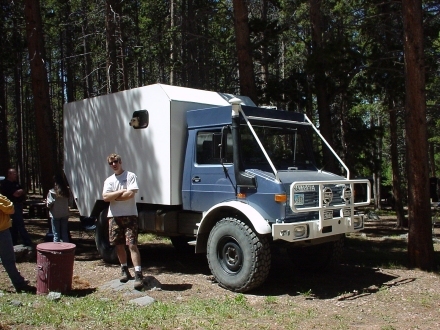 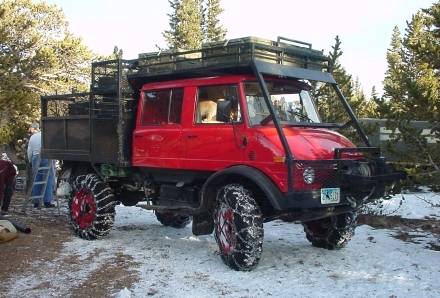 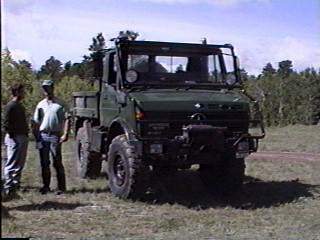 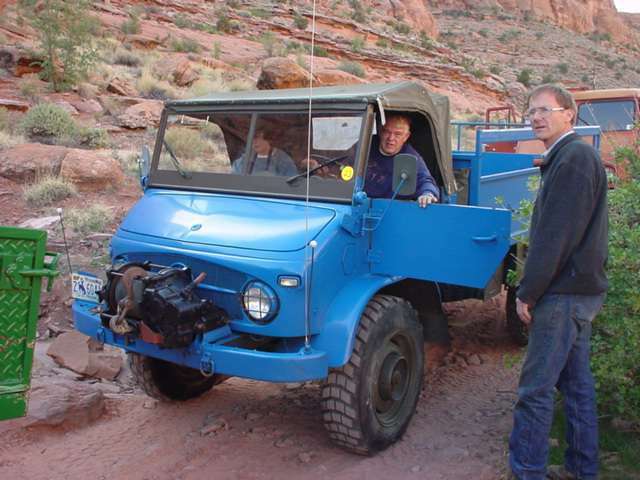 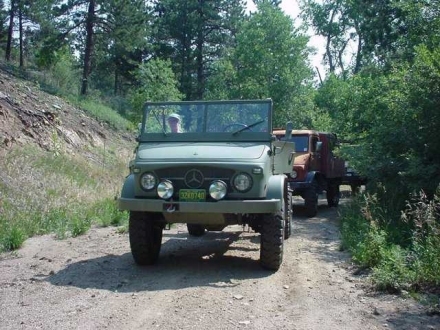 This page will introduce the Unimogs in our group, from the Rocky Mountain region. 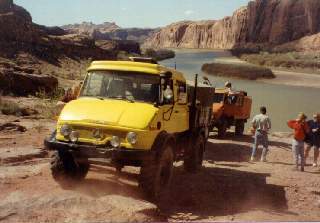 My Unimog near Moab, Utah..
Kristopher's Swiss Mog on the Jenny Creek trail. 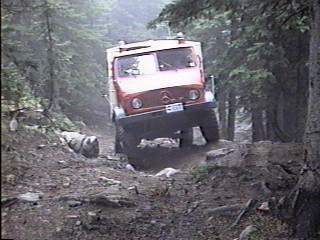 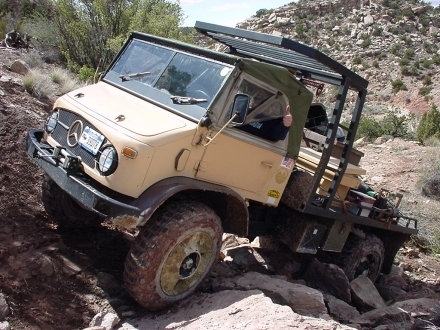 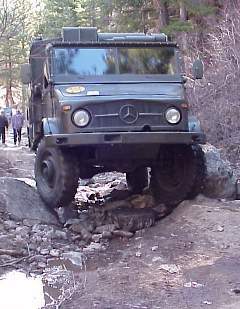 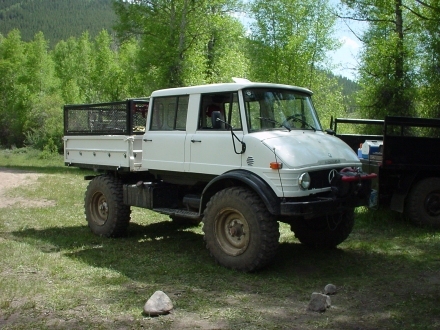 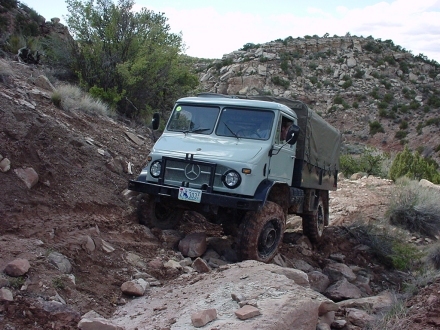 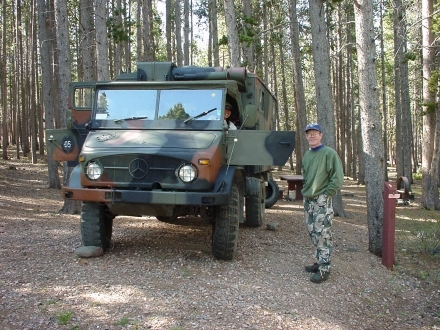 Ron Millers' Unimog, Mogbert, on the Jenny Creek trail. 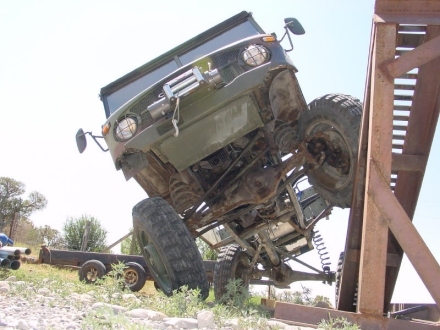 Check out the articulation!!! 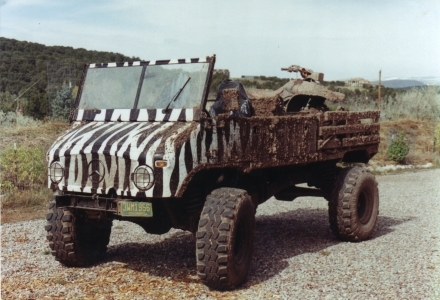 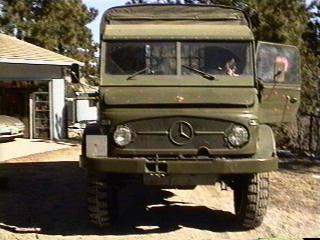 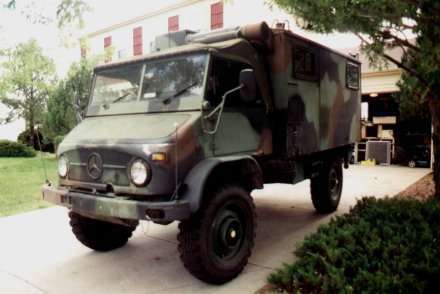 Bob's Camouflage Radio truck, HamMog. 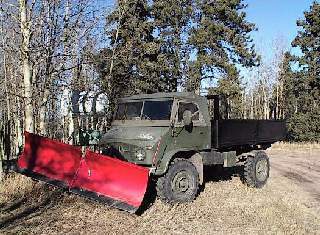 Pete's ex-Radio truck, with the new plow and flat bed.